Dont Worry, We Will Come To You! For many of our clients, a home visit by our mobile physiotherapist is a superb option. If you have mobility issues or just prefer the additional privacy offered by our mobile physio, then we can arrange a time and date to visit your home. Is the treatment the same as your clinic service? Yes it will be exactly the same and you can choose a male or female physiotherapist should you have a preferred choice. An initial assessment is always carried out before any treatment. This allows your mobile physiotherapist to understand your condition fully and to understand why you may be suffering pain, discomfort of difficulty with movement. Your mobile physiotherapist will discuss with you their findings and their suggested treatment plan going forward. This may consists of deep soft tissue massage, gentle joint manipulation or even a sports massage. It will all depend on what your mobile physio feels is the root cause of your problem. Treatment will only ever be carried out with your agreement and after your consent so you need never worry that you will be subjected to a regime of therapy that you are not happy with. How will I feel after my treatment? Your physiotherapy treatment is always carried out by an expert and supremely well qualified professional. The hands-on therapy will be done gently and should not cause you any pain. Where you do have stiffness and discomfort when moving, your physiotherapist will do all possible to cause the least amount of irritation. You should find any massage carried out very relaxing and agreeable. If you do feel a slight stiffness or tightness the following day, this is perfectly natural and will gradually ease off as the soft tissues or joints start to recover and improve. Your mobile physiotherapist can visit you at any convenient time to suit you. Contact us now to book an appointment. 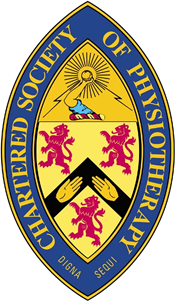 Physiotherapists at PhysioWellbeing are all registered with the Chartered Society of Physiotherapy and are registered with the Health Professional Council.